The Pan American Health Organization (PAHO) reiterated its recommendation that international travelers should get vaccinated against the yellow fever virus prior to visiting endemic areas during 2019. This PAHO recommendation means yellow fever vaccinations should be at least 10 days prior to departure to ensure appropriate protection. In the PAHO epidemiological update issued on January 25, 2019, the PAHO also called on countries where yellow fever circulates to continue to immunize at-risk populations. Between January 2017 and December 2018, seven countries and territories in the Americas reported cases of yellow fever. So far in 2019, Brazil and Peru have reported confirmed yellow fever cases. In Brazil, 12 human cases, including 6 deaths, have been reported in municipalities in the south of Sao Paulo state. Over the last 2 years, Brazilian health authorities have conducted mass vaccination campaigns shortly after yellow fever outbreaks began and have increased the number of municipalities where vaccination against yellow fever is recommended. Additionally, the World Health Organization (WHO) recommends vaccination against yellow fever for international travelers visiting the states of Acre, Amapá, Amazonas, Distrito Federal, Espírito Santo, Goiás, Maranhão, Mato Grosso, Mato Grosso do Sul, Minas Gerais, Pará, Paraná, Rio de Janeiro, Rio Grande do Sul, Rondônia, Roraima, Tocantins, Santa Catarina, and São Paulo, as well as parts of Bahía and Piauí states. During 2018, the US Centers for Disease Control and Prevention (CDC), issued a Level 2 Travel Alert regarding Brazil’s yellow fever outbreak. In Peru, 20 cases of yellow fever were reported, including six deaths, during 2018. During 2017, only 6 cases were reported. 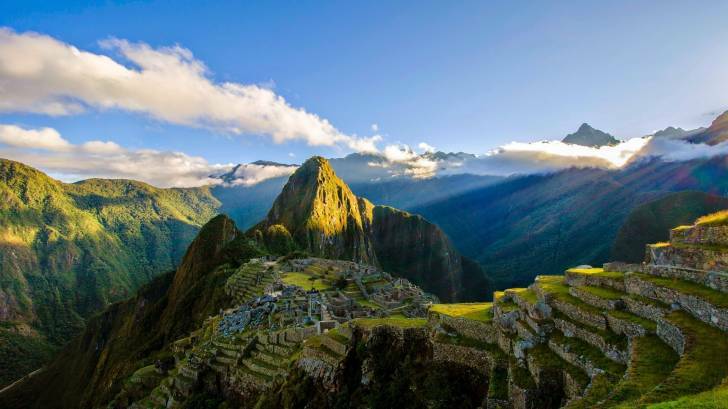 The CDC says Americans visiting Peru older than 9 months of age going to areas at elevations lower than 7,546 ft should consider the yellow fever vaccination. Vaccinations are generally not recommended for travelers whose itineraries are limited to the following areas west of the Andes: regions of Lambayeque and Tumbes and the designated areas of western Piura and south, west, and central Cajamarca. To date, all human cases of yellow fever in the Americas have been linked to Haemagogus and Sabethes mosquitoes. Urban transmission of yellow fever occurs when the virus is transmitted from human to human by the Aedes aegypti mosquito. These epizootics spread through jungle corridors where Haemagogus and Sabethes mosquitoes transmit the disease from one group of monkeys to another. Additionally, because the Zika virus is active in both Brazil and Peru, and infection during pregnancy can cause severe birth defects, pregnant women should not travel to these areas, says the CDC. Moreover, the CDC says Americans visiting Brazil and Peru should ensure they are up-to-date on routine vaccinations, such as MMR, DTaP, Varicella, Polio, and a yearly flu shot. International travelers can easily request a vaccine counseling appointment at Vax-Before-Travel. The CDC Vaccine Price List provides private sector vaccine prices for general information. And, vaccine discounts can be found here.